The Strategy Management Office (SMO), also referred sometimes as the Office of Strategy Management (OSM), is the team responsible for managing the Corporate Strategy of the organization. The ultimate role to execute Strategy lies with the line managers and employees, but without a core command and coordination office (i.e. the SMO), Strategy is either skipped from key processes or the processes are ineffectual across business units, causing poor Strategy execution. This presentation is the first in a series of 3. 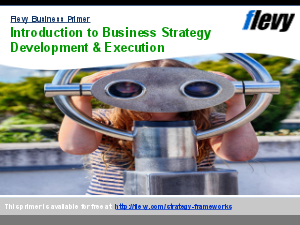 It provides and overview and background to the Strategy Management Office concept. This deck also includes for you to use in your own business presentations.